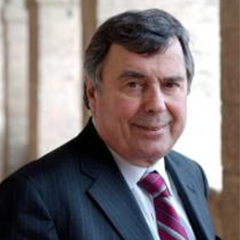 François Bourguignon is EDI Research Director and chairman of the Institutional Diagnostic Tool Scientific Committee. He is Emeritus Chair at the Paris School of Economics and former Chief Economist of the World Bank. His responsibilities, together with Jean-Philippe Platteau, include provision of intellectual leadership of the programme and coordinating inputs from across the four research activity areas. He also leads the randomised control trials and the institutional diagnostic tool components of EDI.